Plenty of explosions and gunfights to keep action fans happy. Fans of the video game series may not be happen with the direction taken here. The video game comes alive in the form of an explosive film. 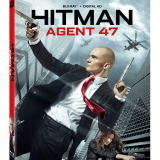 Rupert Friend stars as the titular Agent 47. He’s an extremely effective assassin – mostly because he’s been engineered to be that way. As the product of genetic experiments, Agent 47 was enhanced in a variety of different ways. From being completely unable to feel pain, to his obliviousness to emotions like fear and love, 47 is a machine in human form. His enhanced abilities at perception and agility make him unstoppable. But then again, he isn’t the only agent out there. 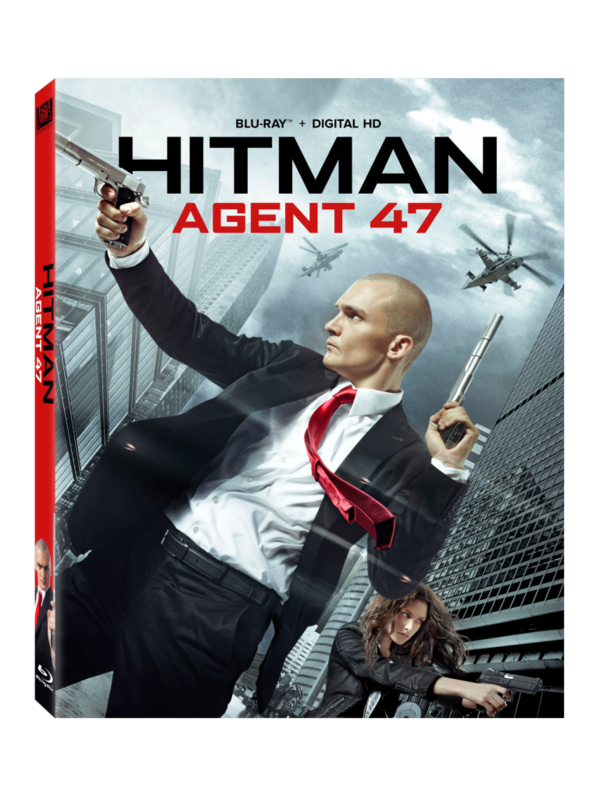 Agent 47 is hunting down a young woman called Katia, who is the key to everything that he and others have been looking for. As the daughter of the scientist who originally created the agent program, Katia holds the key to finding him. Agent 47 wants Katia and her link to the scientist – but so does Syndicate. Who will get to her first – and what sort of intentions they have for her – is unclear. But after spending decades in hiding from the program he created, the scientist isn’t likely to give up his secrets without a fight. 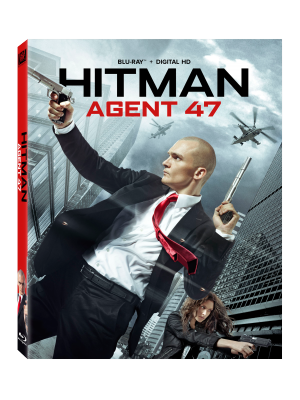 Hitman: Agent 47 is one of those movies where you can just sit back and enjoy the action without needing to put a whole lot of thought into it. Though it is based on the hit video game series, you don’t need to be familiar with the games to enjoy the movie. In fact, it might just be easier to enjoy it without any previous knowledge, as you’re spared the whole ordeal of picking out which parts are true to the series and which parts have deviated. Thinking of it on its own rather than part of the arching Hitman story line helps you enjoy it for what it is – an incredibly visual experience filled with the tons of explosions, gunshots, and fistfights you’d expect from any action film. Though the story in Hitman: Agent 47 isn’t likely to win any awards, it’s engaging enough to keep you involved with the characters without making you care too much. As 47, Friend comes across as methodical and emotionless – just as any self-respecting killing machine should be. Katia, in contrast, is emotional and continuously frightened, though you’re given glimpses right from the start that there’s something different about her. Though two characters play well off each other, each accenting the other’s personalities, though the movie stays pretty superficial in that respect. Overall, Hitman: Agent 47 comes across as an amusing action film, filled with enough explosions and bloody gunfights to keep any teenaged viewer happy. Though the story is overall more of a ploy to introduce the killing than anything really deep, it’s entertaining enough to keep you invested in the action. Fans of the video game series may be disappointed in perceived deviations from the original, but as a stand-alone film, it’s an entertaining way to spend a couple hours.